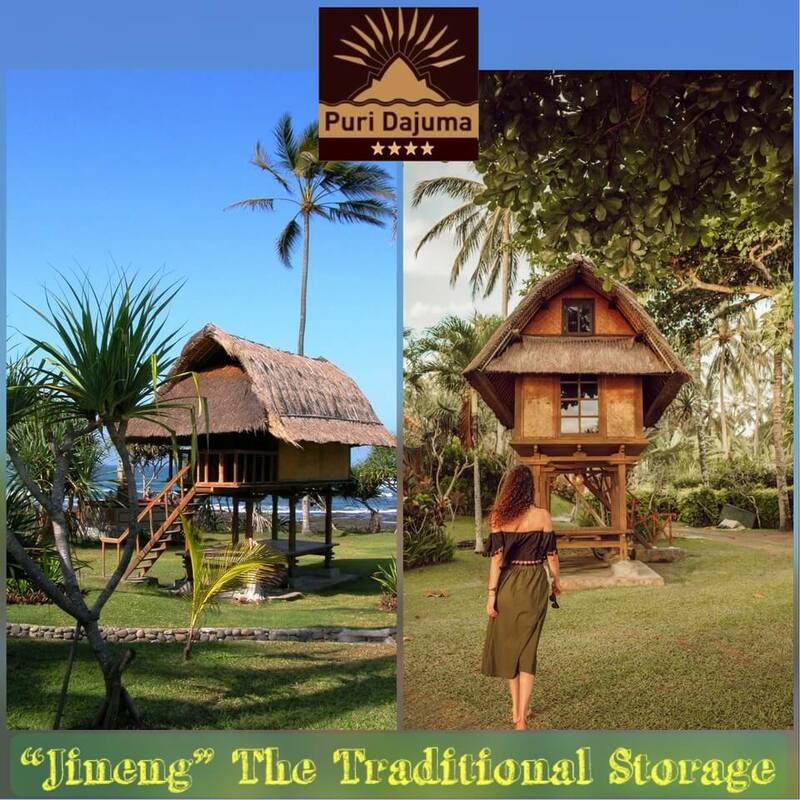 The Traditional Storage Jineng is one of the traditional Balinese buildings which is inherited from the elders. In the past Jineng was built as a rice barn/rice storage and other harvests. The part under the storage is usually used for relaxing or enjoying a coffee/tea with family or guest. For Balinese people, behind the uniqueness of Jineng, there is a philosophy of life which is taught us about how we could being productive, live frugally as a way to sustain prosperous life in a sustainable manner. Because of its uniqueness, Jineng still exists till present, even now people build a Jineng as a bedroom, some hotels in Bali use the concept and the shape of Jineng, like what we have in Dajuma, our two bedroom wooden villa (Pondok Segara Villa) has the Jineng shape. For the people who live in rural areas and have Jineng at home, they use Jineng as a ceremonial stuff storage. “Let’s keep the tradition and culture for our next generation” is our motto at Dajuma!